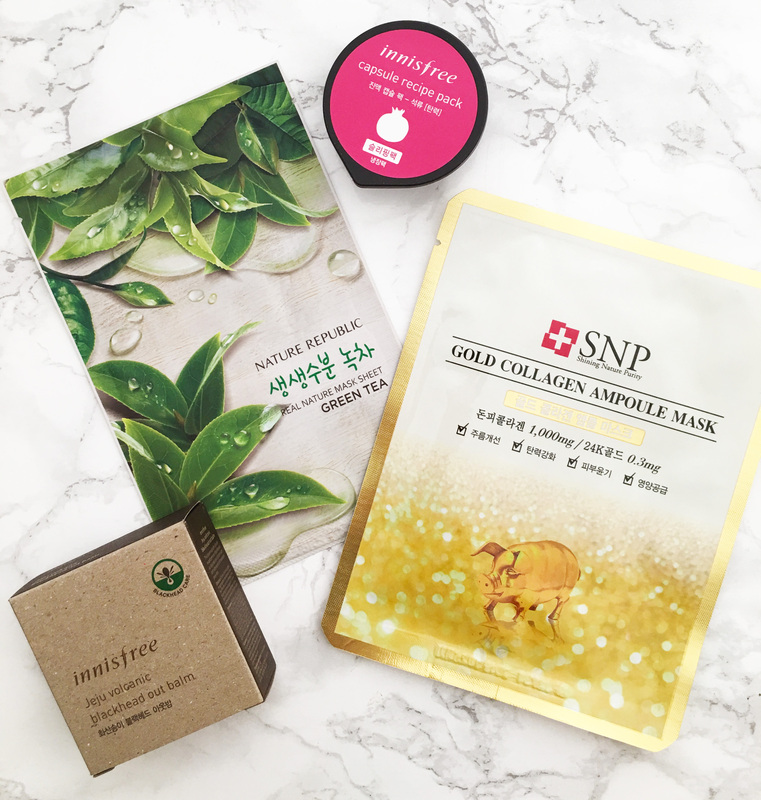 I recently got my first K-beauty subscription box, courtesy of BomiBox, and wow — it’s good. I have to admit, I’ve been slow to jump on the beauty subscription box bandwagon. Mainly because as a beauty editor, I get a lot of samples I have to try out, but also because I really feel like, with a few exceptions, you have to give a skincare product a good month or so to really see how it’ll work on your skin. I mean, sheet masks, exfoliators, and cleansers — I can pretty much tell how I’m going to like it with one try or a small sample packet. But serums and moisturizers take a bit more time, a bit more evaluation. I’ve tried a few beauty subscription boxes and read about a lot more, and honestly, I get enough deluxe samples thanks to my VIB Rouge status to not feel like I need even more itty bitty sample sizes from a bunch of other lackluster subscription boxes. 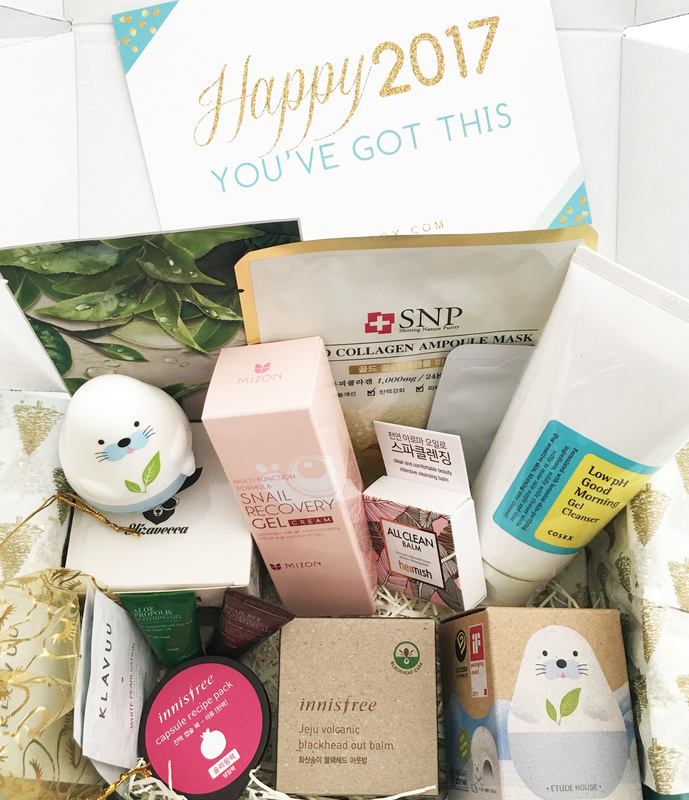 But this BomiBox subscription box I got was impressive, especially because it included a number of full-sized products from trending, well known K-beauty brands, all for $37 per month. I was especially excited because I got one full-size product I’ve been wanting to try for ages. If you follow any K-beauty blog or skincare Instagram hashtag, you’ll know that CosRx is a huge must-try brand. The unbelievably affordable Korean skincare line (think $20 for a serum) — with a truly impressive, short ingredient list — is known for effective ingredients that are gentle, simple, and straightforward. 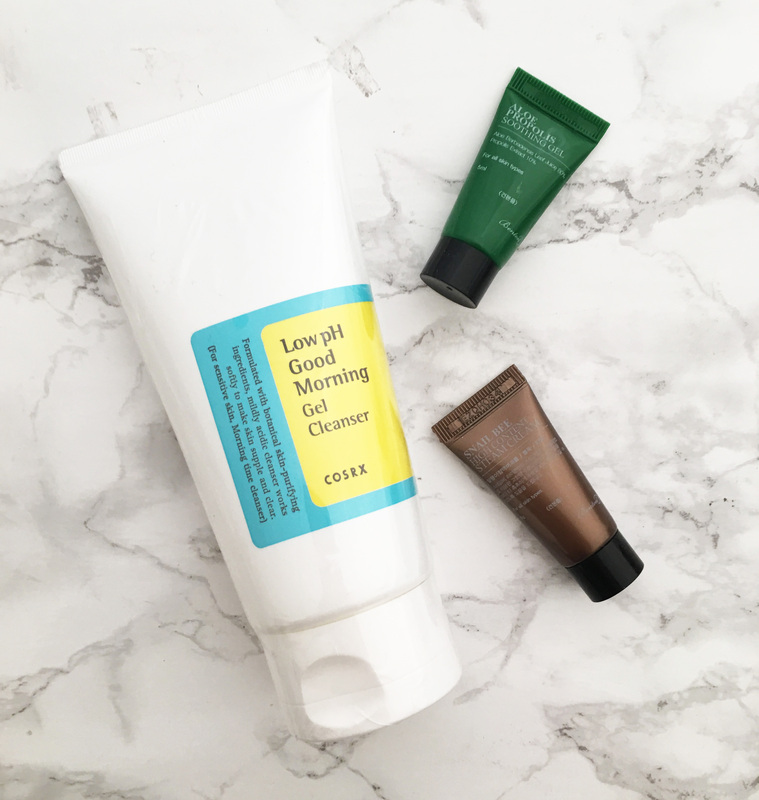 Its Low pH Good Morning Gel Cleanser is especially popular for its low-pH properties that make it especially skin-friendly. 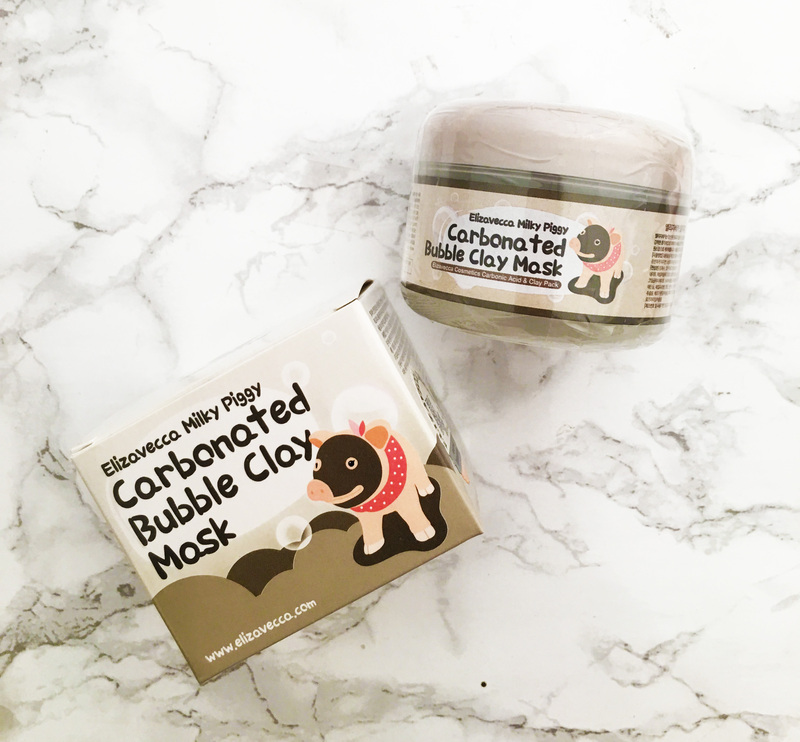 (If you follow any K-beauty blogger worth her salt, you’re familiar with those product reviews with photos of multi-hued pH strips that judge a facial cleanser on whether they match skin’s slightly acidic pH.) So naturally, I was excited to see that I got a full size of the cleanser in my BomiBox. I use it on days when I don’t need my manuka honey-propolis-laden cleanser from Elemental Herbology for my monthly hormonal breakout, and so far, so good. I haven’t noticed anything spectacular nor anything horrible, so either the cleanser is doing its job or I was doing a decent job of cleansing in the morning. Either way, I’m glad I got to try out this cult-favorite cleanser. I also got a couple samples of Benton Propolis Soothing Gel and Snail Bee High Content Steam Cream. I’m a big fan of propolis for its antibacterial properties, and I like Benton’s Snail Bee High Content Essence, so I’m looking forward to trying these when I get a lull in my must-try-for-work skincare lineup (or the next time I travel, which I’m hoping is very, very soon). Another gimmicky-seeming product, this Etude House Missing U Hand Cream actually hydrates my crazy dry hands pretty well. (I know because it was overflowing when I opened my BomiBox, so I had to immediately slather it all over my hands … and arms … and feet …) And yes, the little harp seal packaging is adorable, but apparently this is a series of hand creams featuring endangered animal species (others include the pink dolphin, fairy penguin, and the panda), so that’s a nice touch. It smells really good, too — a little green, a little herby, though the website says it’s a green tea scent — and this seems to be a full-size product as well. I’d actually heard about Heimish from a girlfriend of mine who only uses all-natural skincare. I like my oil cleansers (or micellar wipes) just fine, but I’m tempted to try this oil cleansing balm that features the must-have K-beauty ingredient of the moment, donkey milk. As for Mizon, while I’m a big fan of snail mucin, I was a little less than impressed with their Snail Repair Eye Cream. I think mainly it was that I’m a little (just a tad — or not) older than their target demographic. Great if you’re in college. Not so great if you’re old enough to have a child in college. 😛 But this full-size Snail Recovery Gel Cream is a whopping 74% snail mucin extract and is good for oily to combination skin, so I may actually give this a go on my T-zone. The other sample packet is a lotion from Pyunkang Yul, another Korean brand I’ve never heard of before. It seems to be a line focused on safe, natural ingredients, given the prominence of EWG ratings on their site. I couldn’t find anything on this lotion (though I did find stuff on their creams, serums, toners, and oils), but I feel comfortable trying this out, again when I can squeeze it into the long lineup of skincare waiting to be tested. 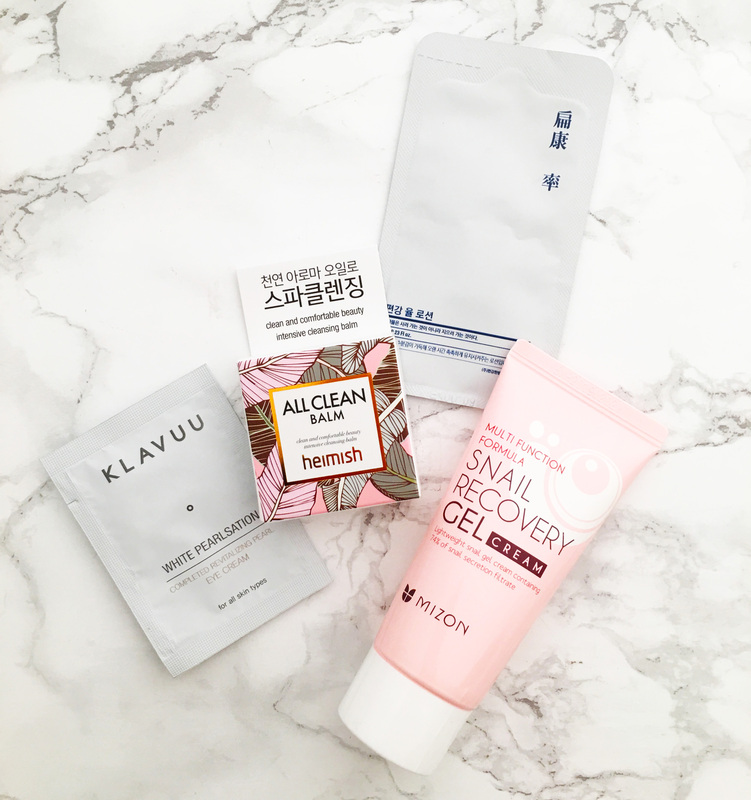 If you’ve tried any of these products, especially Klavuu or Pyunkang Yul, I’d be really curious to know what you thought! Thanks Maggie! BomiBox is not skincare only (I’ve seen lip tints and palettes before), but I think it’s mostly skincare. It’s a pretty good deal, I think, for what you get. I love Korean and Japanese palettes. I will try it for sure now. I see they have a lot of goodies in your box. It is fair price too. Ahh! So happy you got the box – it’s never too late :). I got two of their boxes back in sept and october, but it was too much of a hassle to go pick up the box from a PO every month to pick up a box so I stopped. But it’s nice how they let you choose when you want a box ! Aw thanks ! Will do 😭!! 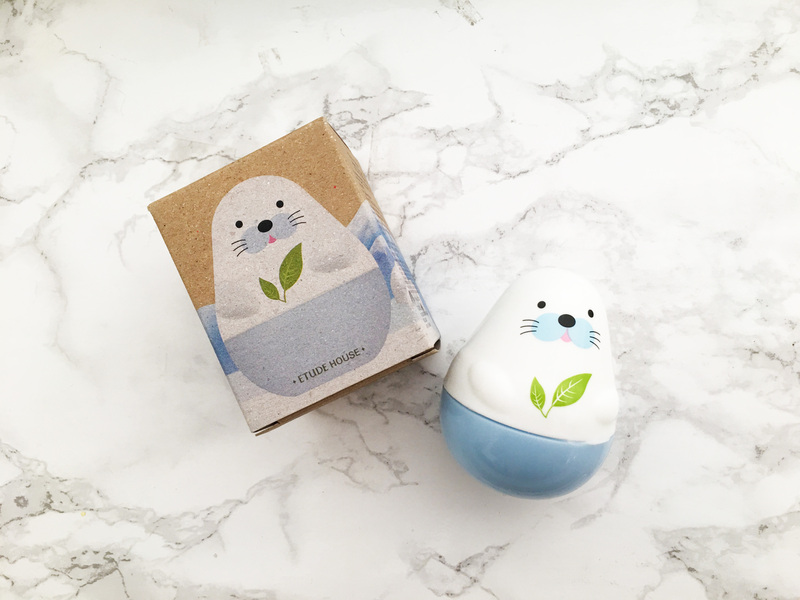 “I get a lot of samples I have to try out.” I am so jealous at that statement… I can’t wait to read about what you think of the Heimish balm, it’s been on my list to try out for awhile! But my college student budget just laughs at my dreams, so I’ll live vicariously through you in the meantime.